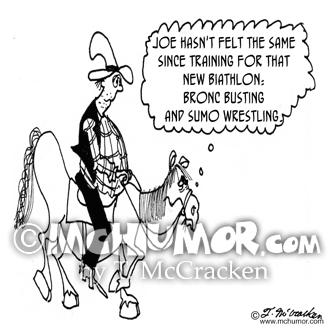 Horse Cartoon 4867: A cowboy saying of another with a big sagging belly riding on a sagging horse, "Joe hasn't been the same since training for that new biathlon--bronco busting and sumo wrestling." 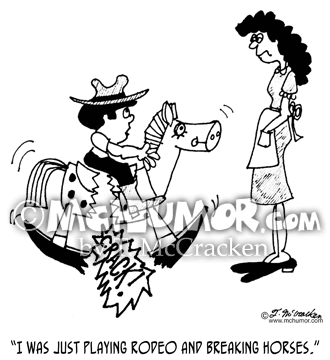 Rodeo Cartoon 3933: A kid who has just broken his rocking horse says to his mom, "I was just playing rodeo and breaking horses." 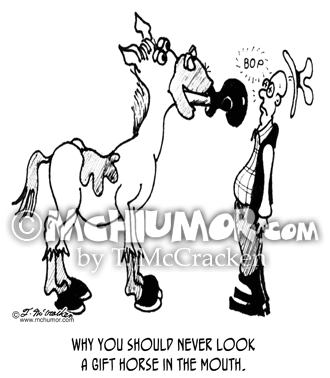 Horse Cartoon 2837: "Why you should never look a gift horse in the mouth." 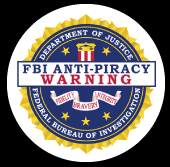 A cowboy is hit by a boxing glove that pops out of a horse's mouth. 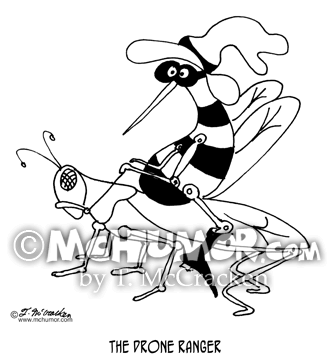 Bee Cartoon 5451: "The Drone Ranger." 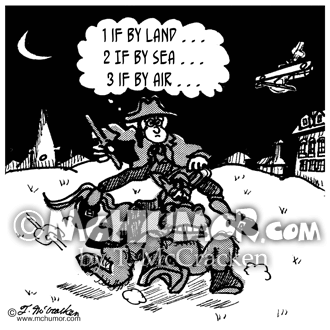 A bee with a hat and a mask rides a grasshopper." 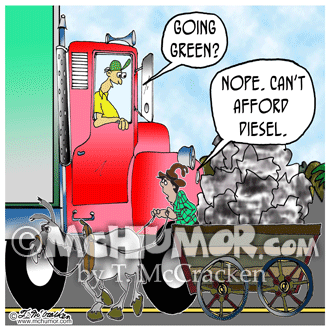 Diesel Cartoon 8520: A truck driver asks someone in a horse-drawn wagon, "Going green?" The other replies, "Nope. 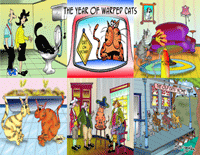 Can’t afford diesel." 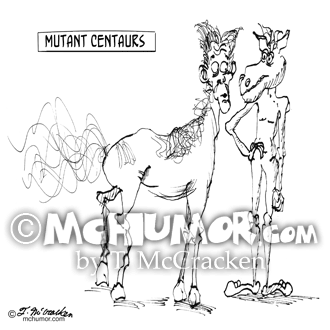 Centaur Cartoon 1036: “Mutant Centaurs.” A horse with an ugly man's head and man with a horse’s body. 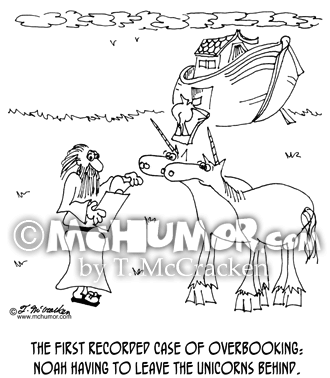 Horse Cartoon 5694: A man driving hay wagon pulled by horse says to highway patrolman, "We can't go any faster, sir. 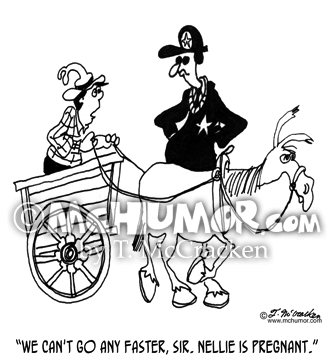 Nellie is pregnant." 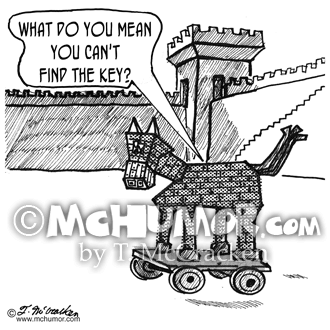 Locksmith Cartoon 1951: Inside the Trojan Horse someone says, "What do you mean you can't find the key?"